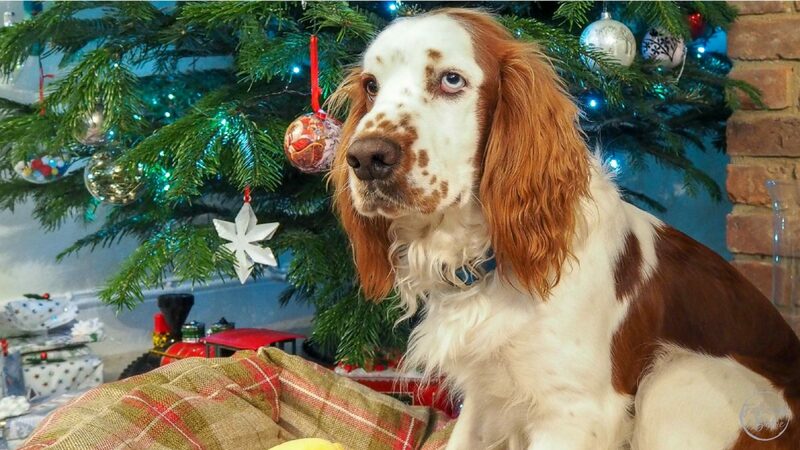 Christmas might be a time to indulge and celebrate as a family, but do you know about the hidden-risks to your dog at this time of year – from toxic foods to dangerous seasonal plants? I have to be honest I didn’t have a clue that flowers including poinsettias can cause irritation four our beloved four-legged friends, so I thought I would share a few of the key dangers to help keep your dogs safe this Christmas. Want to share Christmas day with your pets, well there are so many great alternatives, check out your pet shop for dog-friendly mince pies, chocolate and even candy canes – then your pooch will feel like he is eating the same as you. For more festive dog tips check out this great post by More Th>n. Also, Falcon wanted to say a huge thank you to More Th>n for his festive hamper full of goodies including this fab bed – he loves it.